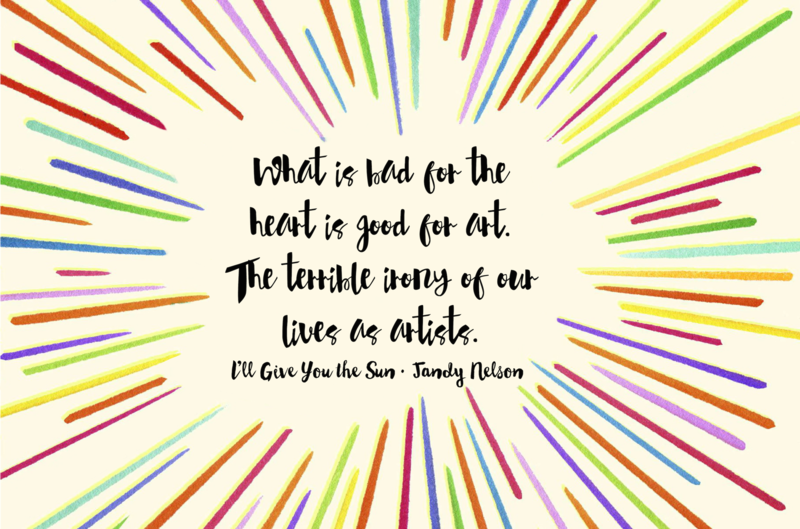 I listened to I’ll Give You The Sun on Audible. Nelson’s writing in this book is so beautiful and unique! The way she makes you see all the paintings in front of you so vividly is amazingly well done! It was funny, puzzling, different, beautiful and heart breaking. The beautiful pros and flows of the book captivated me from the very beginning and held me in its grip the whole way through. Noah: He was such an interesting character. To follow him as he struggled with love and his sexual orientation was both heart warming and breaking at the same time. I just wanted to jump into the book and help him out. And these invisible portraits that he makes in his mind described all of his feelings in such a unique way with so few words. Jude: She was definitely my favorite and it was probably because she was the one that was easiest to relate to for me. Her thoughts on love, boys and family was really a treat to read. And how she follows her grandmother’s “bible” made me laugh out loud while listening. I think this is the first time that I’ve read a book that has two different plot lines that does not go over the same period of time. 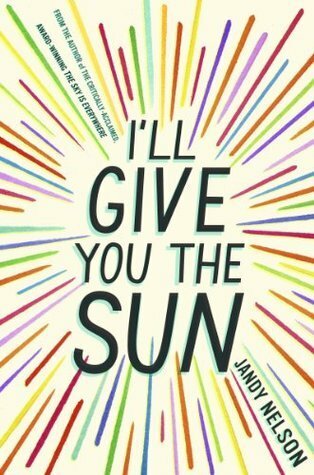 But it worked out so beautifully and it was one of the things that really made this book so different and wonderful. And the way that Nelson intertwine those timelines was handled perfectly! I did see some of the plot twists coming, but it didn’t really spoil the joy of the book in any way and I can’t really pinpoint why. I’d heard so many good things about this book before I started it and I was a little afraid that I had gotten too high expectations, but amazingly enough it lived up to my expectations and then some! It was just a beautiful book that had me going through so many emotions as the story progressed and the characters developed. I really connected with the twins and when the story was over I wanted it to be more. A gripping and wonderful story about family, love, growing up and realizing that life is not going to be what you expected. Just as this book ended up meaning so much more to me than I ever expected! Definitely one of my favorites for 2015!